Texan singer-songwriter Miranda Lambert teams live with Dierks Bentley and Jamey Johnson on the eve of Nu Country TV's 16th anniversary on Channel 31/ Digital 44 this Saturday - January 13 - at 9 pm. North Carolina nouveau outlaw Eric Church recruited Arkansas singer Ashley McBryde to also perform live on a song about her father on the show hosted by Mid-Pacific Bob Olson and repeated Monday at 3 pm. Frequent Australian tourist Jim Lauderdale also returns live in Nashville in our Behind Bars segment on the program filmed and edited by Laith Graham. Missouri minstrel Chris Janson returns with a hedonistic hymn while Queensland singers Kalesti Butler and Brad Butcher perform new songs inspired by their travels. Texan Miranda Lambert and Arizona singer-songwriter Dierks Bentley enjoy a rich musical and canine conduit. Miranda operated a string of Mutt Nation dog rescue shelters in her home state and way beyond well before her Hurricane Harvey search and recovery mission. Dierks, 42, recently rescued another canine from a Nashville shelter to replace his beloved Jake who graced his videos and songs. This week they join Jamey Johnson, also 42, to resurrect a live version of Bad Angel from Dierks 2010 bluegrass album Up On The Ridge, produced by Jon Randall Stewart. "When Jon threw Bad Angel at me, I thought about who would be my contemporary if I did it,” Bentley recalled of the fiddle driven anthem, replete with prison footage. “So I just called up Miranda and Jamey and they both listened and said they wanted to do it and we made it happen. Nothing was orchestrated or planned. Miranda's voice on that song - she does it so different and cool. And Jamey is so great, the song just turned out great." Bentley has released 10 albums and Johnson recorded five albums including Hank Cochran tribute disc Living For A Song . 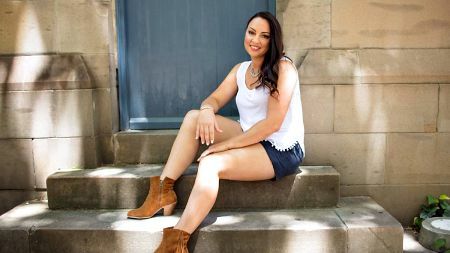 Miranda, 34, won her seventh female vocalist trophy at the recent 51 st CMA Awards in Nashville for her seventh album The Weight Of These Wings. She also won praise from Oklahoma born entertainer of year Garth Brooks for her acoustic version of To Learn Her that she performed at the awards. 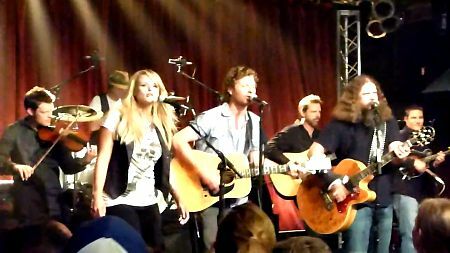 Miranda penned it with fellow Pistol Annies singer Ashley Monroe and Waylon Payne. “She's one of few females that we play, so you'd think she'd want to play it safe,” Brooks said after the show. CLICK HERE for a Miranda Lambert feature in The Diary on March 20, 2017. CLICK HERE for a Dierks Bentley feature on July 25, 2016. CLICK HERE for a Jamey Johnson feature on December 13, 2011. 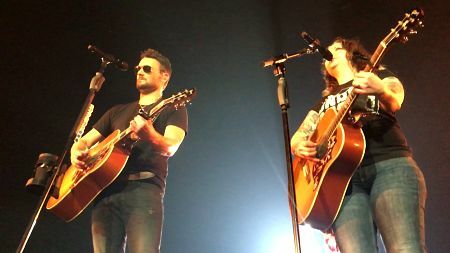 When Eric Church headlined a Chicago arena concert on April 13 he performed an impromptu duet with female outlaw Ashley McBryde. Church brought McBryde onstage, introducing her as "a whiskey-drinkin' badass" before alternating verses on her song Bible and a .44 - a tender tribute to her late father who sired eight children on his Mammoth Springs farm. Eric said he was a big fan of Ashley who was clad in Church's 2015 Mr Misunderstood Church album tee shirt. “You guys are gonna be a massive fan of her real soon,” Church, 40, told his audience. Ashley, 33, has released four albums in 11 years in Nashville - Bible And a 44 is on her third album Jalopies And Expensive Guitars. Ashley swapped verses with Eric about her dad who gave her a mandolin at the age of four - the year before her stage debut at one of many bluegrass festivals with her family. By the time she was nine she swapped mandolin for guitar and wrote her first song, Fight the Flames , at 12. Church recorded compilation album 61 Days in Church to be released in April 2018. CLICK HERE for a Church CD feature in The Diary on March 1, 2014. CLICK HERE to win a Church CD on our Membership page. Singer-songwriter Jim Lauderdale, who shares his home state of North Carolina with Church, returns to Behind Bars. The Presbyterian minister's son made his Australian debut at Richmond 's famed Corner Hotel with Kim Richey, Fred Eaglesmith, Jason McCoy and late Tasmanian Audrey Auld 15 years before the Tigers recent premiership. This time Jim, host of live Nashville radio and TV shows with Buddy Miller and peers, performs Like People From a Different World on his Music City Roots program at the Factory . The 60 year-old survivor has released 32 albums in a creative, colourful career embracing country, bluegrass and Americana music. His 2017 album London Southern followed discs with artists diverse as Miller, Dr Ralph Stanley & The Clinch Mountain Boys, Donna The Buffalo and Robert Hunter. Jeremy Dylan, son of our late benefactor Rob Potts, produced Lauderdale documentary King Of Broken Hearts that aired in the U.S. and Australia before being featured on Foxtel's Country Music Channel and released in 2014. 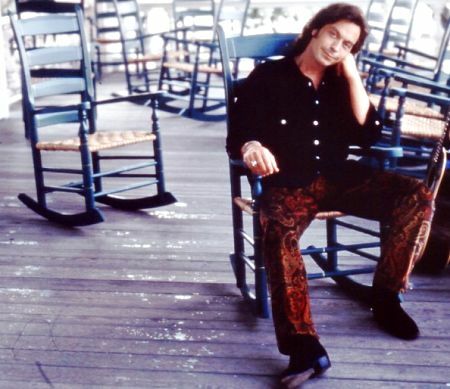 “A conversation with Americana music icon Jim Lauderdale at the Beatles museum in Liverpool sparked a journey that would see me devote the next three years directing the definitive document of Lauderdale's unconventional career Jim Lauderdale: The King of Broken Hearts ,” Dylan revealed. Jim's 40 year stage and screen career included roles in George Strait movie Pure Country, Big Bad John, The Gun In Betty's Handbag, Transamerica and Country Strong with Tim McGraw and Sandra Bullock. He also appeared in True Blood , the Nashville TV series and Peter Bogdanovich directed 1993 movie The Thing Called Love about Nashville 's famed Bluebird Café . It starred Joaquin Phoenix, Dermot Mulroney, Samantha Mathis and Sandra Bullock with cameos by Jim, Pam Tillis, K.T Oslin, Webb Wilder, Earl Poole Ball, Deborah Allen, Jo-El Sonnier, Vernon Oxford, Kevin Welch, Rosie Flores, James Intveld, Trisha Yearwood and Texans Jimmie Dale Gilmore, Dale Watson and Katy Moffatt. CLICK HERE for a Lauderdale interview in The Diary on December 14, 2006. 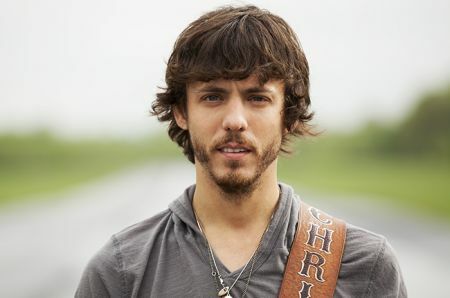 Missouri minstrel Chris Janson extols virtues of fishing, hunting and hedonism as he opens this week's show. Janson, 31, performs Redneck Life - one of 12 songs he wrote for second album Everybody, released in September. It includes five from his Fix A Drink EP that followed debut album Buy Me A Boat . Janson arrived in Nashville in 2005 with dreams and a backpack full of homemade CDs burned in his garage as he headed to Lower Broadway. He parked his Monte Carlo behind Honky Tonk Central and backseat was home for three weeks as he went from honky-tonk to honky-tonk like a door-to-door salesman to seek gigs. “I would knock on doors and ask people if I could get onstage and play and nobody would let me onstage,” Janson revealed. He finally landed a residency at Tootsie's Orchid Lounge . “It was four sets a day at four hours a piece so by the time you do the turnaround, there's not really time for anything else,” Janson recalled. Janson headlines the famed Ryman auditorium on February 5 after releasing new single Drunk Girl. Chris debuted on Holly Williams' 2009 album Here With Me and scored his first hit as a songwriter in 2013 with Truck Yeah for Tim McGraw before LOCASH , Randy Houser, Justin Moore, Frankie Ballard, Parmalee and other peers charted with his songs. CLICK HERE for a Janson CD feature in The Diary on November 16, 2015. Gulf Of Carpenteria raised singer Kalesti Butler wrote three songs with her mother Val for her second album Airborne. They included Fly High about Val's brother Eddie and nephew Sandy dying in a Gulf plane crash on take-off in September 2013 before a routine inspection trip to maintain machinery used to fix outback roads. Kalesti also wrote Ride Cowboy with Felicity Urquhart about her late father. The Emerald singer debuts on Nu Country with a song penned by Felicity's recording compadre Kevin Bennett and Lola Brinton. Just Down The Hall is a tragic story about the death of an indigenous mother in child-birth on the steps of a small country hospital. Lola was a patient in the hospital when she heard the pregnant mother's cries. Kevin, touring here in March with expat Gippsland star Gord Bamford, is also in trio Bennett, Bowtell Urquhart. CLICK HERE for a Kalesti feature in The Diary. Queensland cane field crane operator and coal miner Brad Butcher masters aquatic metaphors for love in his video for the title track of his third album From The Bottom Of A Well. Brad debuted on Nu Country with Well Dressed Man - a song he wrote for his grandfather Norman. Norm was one of 13 siblings raised in a cane cutter's cottage on the banks of the Pioneer River south of Mackay. During the tough post-depression era and World War 2, Norm was a beacon of hope and resilience to the large family. “It takes a unique strength and character to raise a family, create your own future and leave behind a lasting legacy from the most unlikely of beginnings, and it feels like the perfect fit to dedicate this album to my Pop, Norman George Butcher,” Brad revealed. “There's no greater source of motivation than survival and Pop was determined to make sure his family had a future. “He was far from the eldest in the family but he and his brothers were more like father figures, working the local cane fields and fishing the Pioneer River to live. He taught me that there is no substitute for hard work”. Brad, now 34, grew up fishing in the Pioneer, playing Rugby League in Mackay and working in coal mines as a crane operator and rigger. 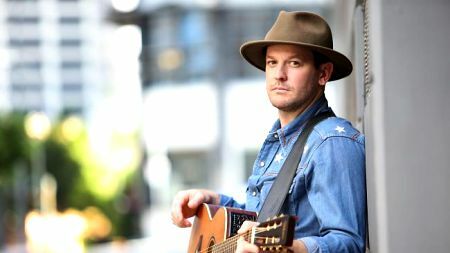 He has since toured the world with concerts at iconic Bluebird Cafe in Nashville and New York City 's The Bitter End in Greenwich Village in 2016 and prime time breakfast TV show, Canada AM , in 2013.